Feeling brighter today we headed up town on another of Tony Hale's walks around London. Despite all the works on South Western trains and at Waterloo station, we made it back on time to meet him at Farringdon Station. Tony's tour took us from Farringdon to Clerkenwell and we finished at the Angel. This piece of public art is by Emma Douglas in memory of her son Cato Heath and is in St John's Gardens. 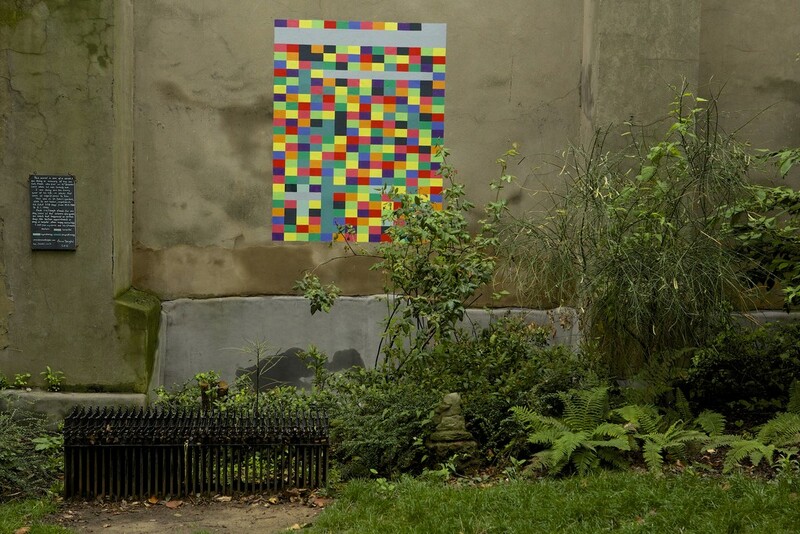 Cato died in 2010 and the squares represent his journey in the first 378 days after his diagnosis. I think it is a lovely way to ensure his name is not forgotten.